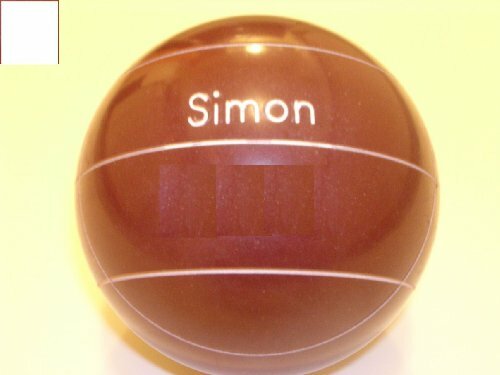 Custom engraved Bocce Ball Sets make excellent gifts and this packages saves you almost $20 off regular prices, as well as reducing overall shipping costs. Included in this package are the following items: Our top selling EPCO Tournament Bocce Set with 107mm Red and Green Balls. Heavy Duty 8 Ball Bag by EPCO. EPCO Ball Polish. Kestrel Measuring Device. All 8 EPCO balls and pallina will be engraved for this price. Maximum number of characters per ball is 7. For example, "Andrew", "Patrick" or "J.D.W" can be done. However, "Christopher", "Alexander" are too long. Please provide your engraving in the comments section during check out.